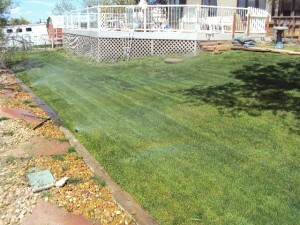 Home › Sprinkler Systems › Automatic Or Manual Lawn Sprinklers: Which Should I Choose? No matter what size of lawn or garden you have, you most likely take great pride in it and want it to look its best. Keeping these areas watered can help your grass, flowers, or crops to grow tall and healthy. Watering by hand can be quite time-consuming, which is why many homeowners turn to devices that will water their lawns with very little effort from them. 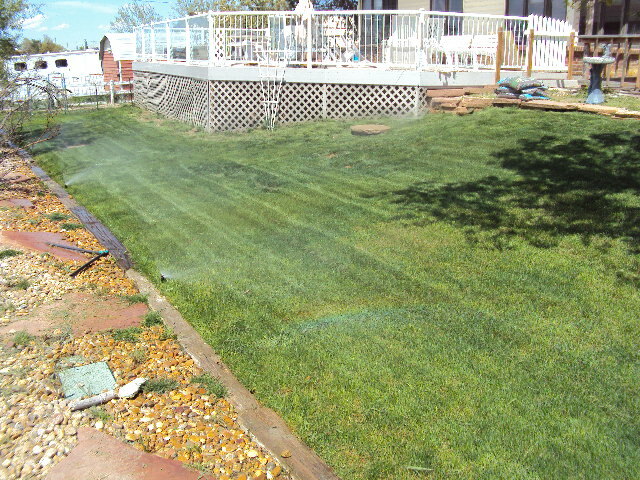 Sprinklers are one such device and they are simple and easy to use to keep your lawn or garden green and growing tall. What do you need to consider when you are looking at sprinklers for your home? Automatic lawn sprinklers can make watering your lawn completely automated. This can be an excellent choice if you do not have much time to devote to lawn care, but enjoy the green that comes with healthy lawns. An automatic lawn sprinkler can be programmed to water the lawn at a specific time each day and for a specific duration to take the human part of this equation entirely out of the picture. Many times, the time you should water your lawn is not as convenient as you might like, but with automatic lawn sprinklers, it can be watered when needed without you lifting a finger. Some automatic lawn sprinklers even have sensors that can determine if your lawn even needs water, which can cut down on water usage and by more environmentally responsible. Automatic lawn sensors may be an investment, but they can add value to your home and can add value to your life in time saved. Choose the automatic lawn sprinkler that best fits your needs and your particular wants to ensure that you will be able to use it to its maximum efficiency. Manual lawn sprinklers mean that you have to turn them on and off yourself. Many people choose these over the automatic sprinklers simply because they do not want to program the automatic type and they enjoy being in complete control of their lawn. If this is you, you realize that there are several different types of lawn sprinklers that you can choose from, including oscillating, single stream, ornamental, and more. Finding the right one for your needs and your lawn will help you to care for your lawn or garden much easier. Sprinklers can make watering your lawn or garden much easier and less time-consuming. It will give your lawn or garden new life and can help you to grow crops and plants easily without having to worry about pulling out the hose and watering everything by hand. Choosing your sprinkler system based on your budget and your needs will enable you to find the right one for you and your particular needs, as well as gardening style, to ensure that you are completely satisfied.